E-International Journal of Educational Research is a scientific journal publishing reviewed articles in the field of education. 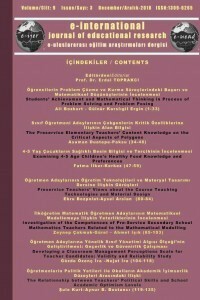 It is published three issues (April, August and December) per year since 2015. The manuscripts submitted to the e-ijer's are reject or send back by the editor or the publication boards of journal if the format and content is not suitable.